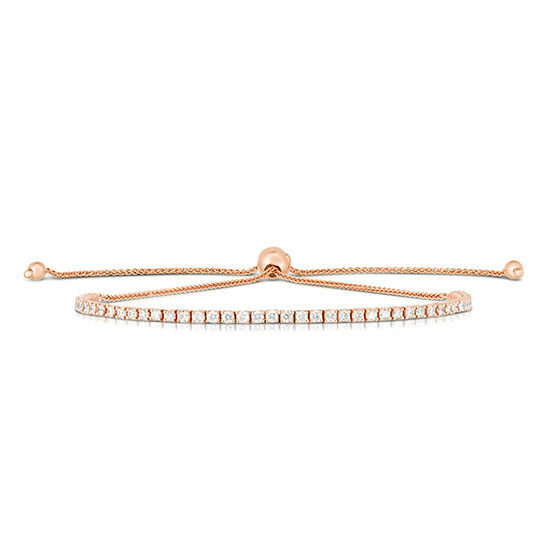 The Diamond Bolo Tennis Bracelet is the perfect finishing touch to any outfit, day or night. Alluring and feminine, this piece of arm candy is sure to twinkle and shine as bright as the New York City skyline. This chic take on the classic tennis bracelet features a tassel-like closure, making the bracelet adjustable to fit your wrist just right!